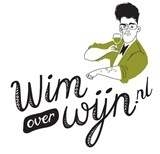 ← De Franse wijnbouwsector reageert op de berichtgeving in de Nederlandse media over sporen van bestrijdingsmiddelen in Franse wijn . In early September, Brigitte Houdeline officially took over the reins of the École des Vins de Bourgogne, the teaching arm of the Bourgogne Wine Board (BIVB). She takes over from Jean-Charles Servant who has retired after 31 years working in the service of Bourgogne wines. 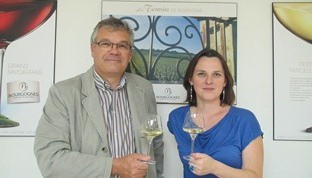 Brigitte Houdeline, 39, joined the École des Vins de Bourgogne as Customer Account Manager in September 2011. She was responsible for enlarging the school’s tailored training activity for individuals and groups both in France and internationally. Promoted six months ago to Deputy Director of the school, she has ensured a smooth transition to her new post. Through 15 years spent working closely with regional, national and international contacts, Brigitte Houdeline has acquired a solid background in networking and communication. Her work with some of the Bourgogne region’s biggest estates has enabled her to foster close relationships with key players in the industry and to get to know a world which she is now tasked with sharing. Brigitte Houdeline also spent five years as Project Manager with a travel agency specializing in business tourism and the Bourgogne winegrowing region, and as such, was able to specialize and develop her commercial experience. Her skills, experience and motivation will enable her to further the work of the École des Vins de Bourgogne as it enters its 40th year. She has several qualifications to her name including an MA in Wine and the International Wine Trade, another in International Communication Strategies and a third in English and German for Business. – To prepare the École des Vins de Bourgogne to become a major player in the future Cité des Vins de Bourgogne, scheduled to open in Beaune in 2016. Dit bericht is geplaatst in Internationaal, Opleiding met de tags Brigitte Houdeline, École des Vins de Bourgogne, Jean-Charles Servant. Bookmark de permalink.